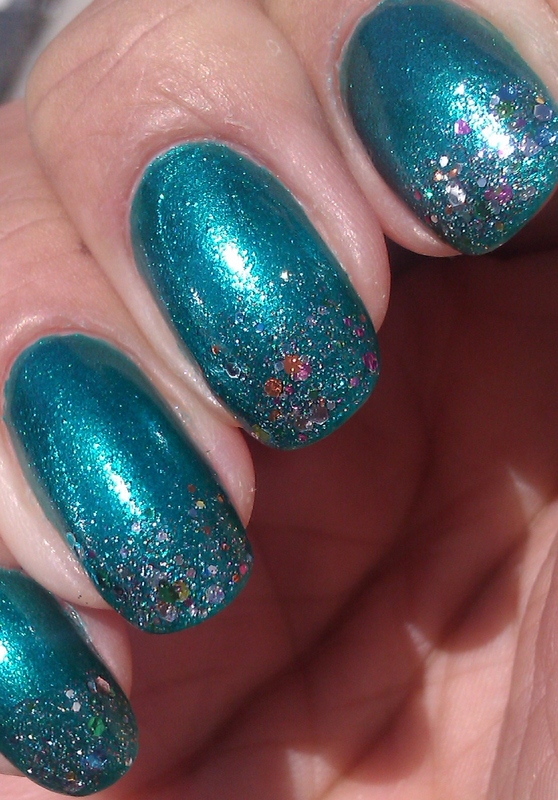 The last manicure I did lasted 1 whole day because I was so unhappy with the look. 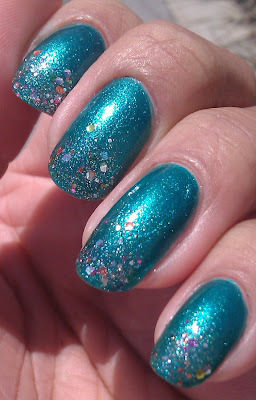 I decided to finally try the gradient glitter look which I've seen on so many blogs and loved but never tried it. I set out 4 different color combos and had Mr. NPT pick. and this is what he picked. 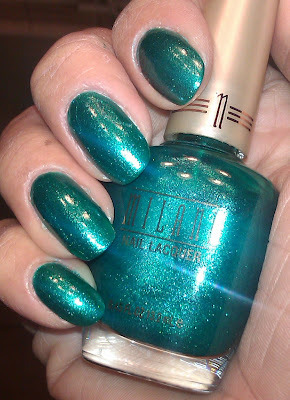 First I want to show you Milani: Key West which is a gorgeous color on it's own. 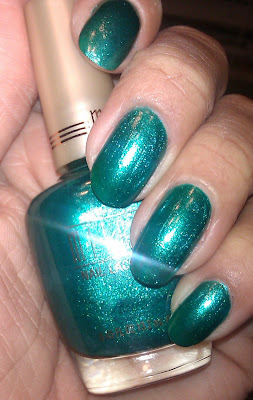 Easy to apply, great formula, 1 coat and amazing shimmer effect. It was a nightmare to take off though. Stained my nails like no body's business! It reminds me of an aquarium for some reason or a mermaid's tail. I love this look and it was so simple and easy to do. I will be doing way more of these this summer.